When I meet someone new socially the inevitable question of “what do you work with?” comes up. After I tell them I work with shipping containers they try to look sort of interested, but you can see they’re bored already. And who can blame them? Maybe they were expecting me to tell them I’m a film producer or racing driver. Anyway. Being who I am I do my level best to conjure up some excitement in what has now become a slightly dull conversation in their eyes. I fall back on my trusted technique of speaking about container conversions. You see, as soon as I start mentioning how we convert shipping containers into bars, restaurants, shopping malls and even hotels they start to perk up. Their eyes come alive and all of a sudden we’re in conversation dreamland. I don’t want to harp on to you about how containers are great for storing things, or what a CSC plate stands for. Go here if you want that. No. I want this little virtual meeting we’re having to be fun for you. “How will you do that?” I hear you ask. Let’s start this with a bang shall we? You’ve got a 20,000 sq ft of open land next to a train station in Croydon not really doing anything. 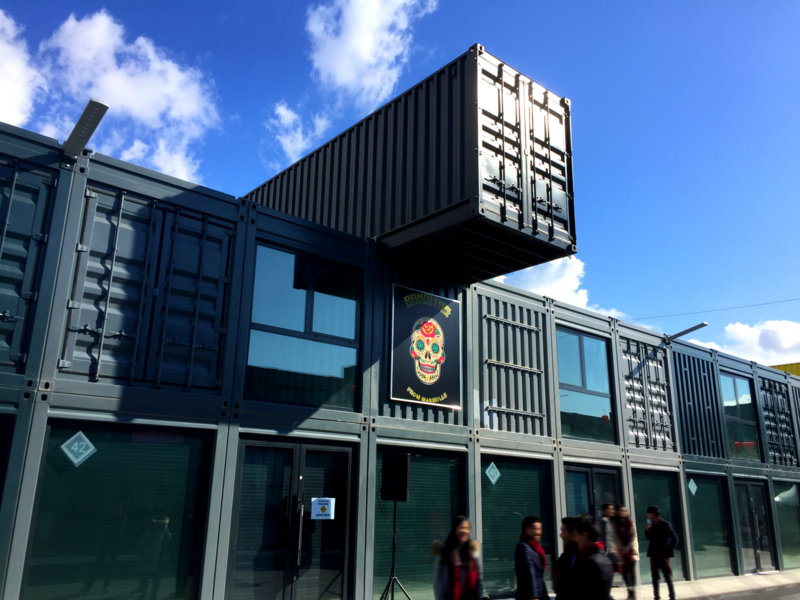 Convert 96 shipping containers into one of the UK’s most impressive food and entertainment venues of course! 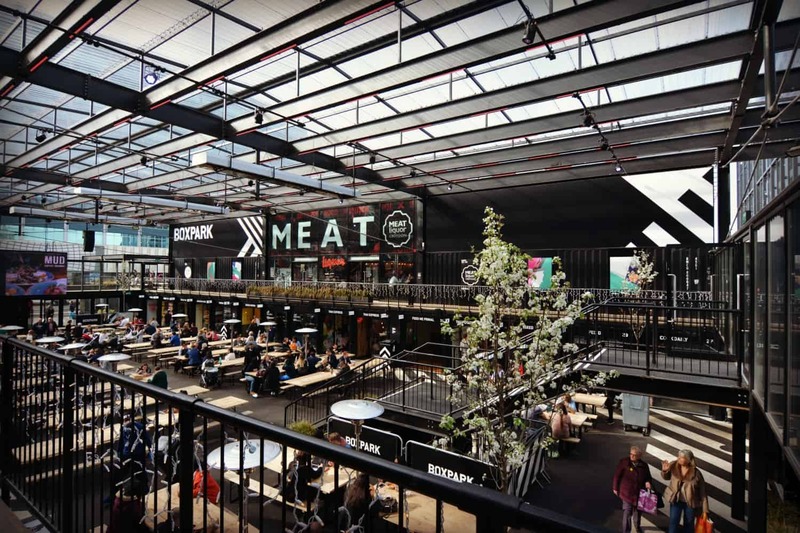 BoxPark Croydon has 2 levels of pretty much every food you can imagine being served (and prepared) inside shipping containers. At night this place comes alive with entertainment too. Food, drinks, entertainment and shipping containers… the “container guy” in me calls this El Paradise. Next up is something slightly less bombastic in scale. It’s actually the world’s largest container conversion ever created. 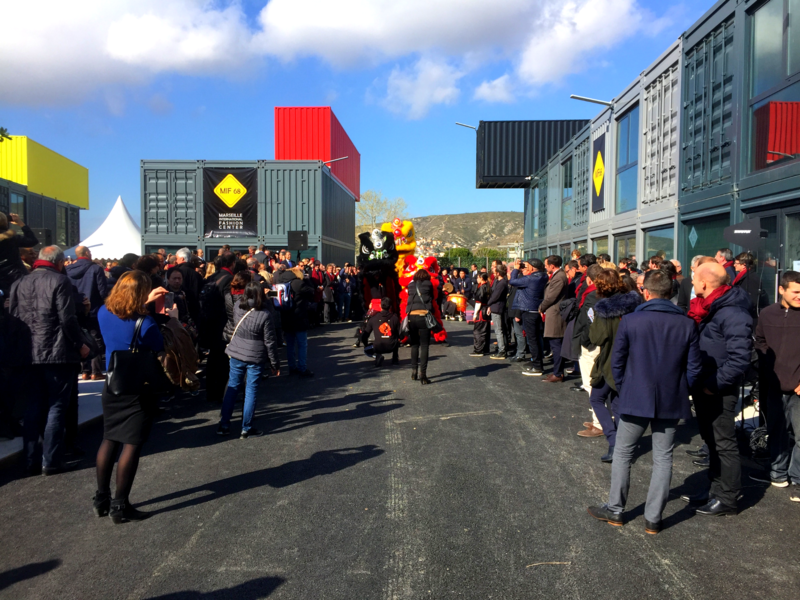 MIF68 is a huge business to business retail park in Marseille, France. So how big is it? Literally hundreds of containers big. When we were approached to help create this conversion, who were we to say no. Have you ever sat at your desk and dreamed of giving it all up to own a cafe or bar? Well that’s what Zan Kaufman, a lawyer from London did. 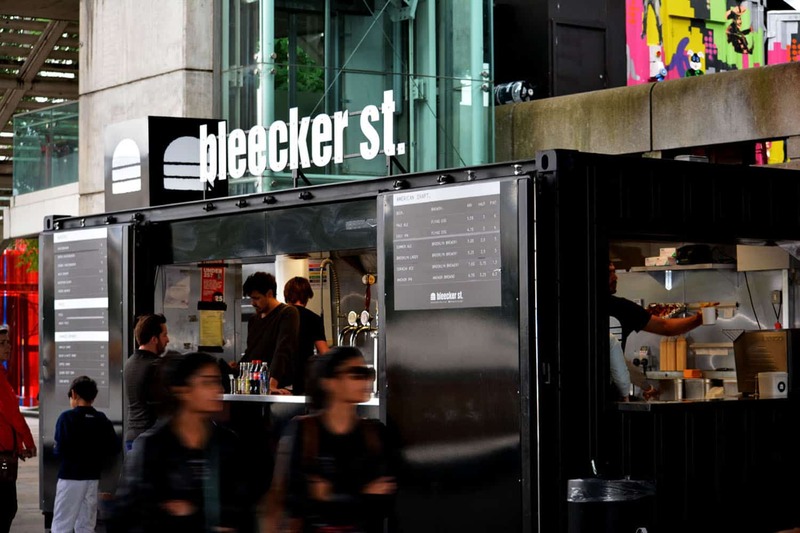 Bleeker St. is a gourmet burger bar mostly based in London. Packing up at a moments notice and moving to a new (and potentially more profitable) site like a festival or event is a luxury most hospitality businesses can only dream of. However, that’s exactly what Zan Kaufman can do with her “business in a container”. You can take a quick peek inside in this video we posted. I hope I’ve sufficiently entertained you with my quirky use of shipping container stories? If you acquired a taste then head over here to discover more conversion projects we worked on. ← What’s The Difference Between Used and “Once Used” Shipping Containers?